Fajardo is known as “La Metropolis del Sol Naciente” or the city that guards the sun of the Caribbean. Founded in 1772, Fajardo is located on the eastern side of the island and bordered by the Atlantic Ocean. Only an hour drive from the capital, San Juan, Fajardo has become a major boating center and one of the biggest water-activity centers of Puerto Rico. Relax and enjoy the sun or snorkel the tranquil waters of the beaches of Fajardo. Seven Seas Beach offers a variety of activities including snorkeling and scuba diving. Fajardo is home to one of the most important natural areas in Puerto Rico- Las Cabezas de San Juan. The 316 acre preserve includes seven different ecological systems and is the habitat to many endangered species. Las Cabezas, which means headlands, refers to the three promontories that extend into the Atlantic Ocean. Admire the spectacular view of El Yunque from the observation deck of a restored 19th century light house, El Faro de las Cabeszas de San Juan. 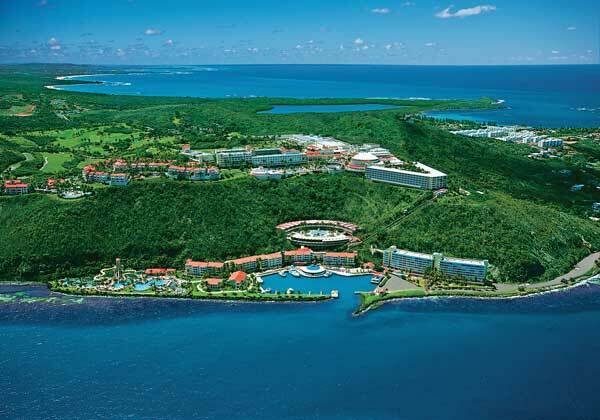 We can not wait to welcome you to Fajardo! Puerto Rico has a rainy season which stretches from April into November. - See more at: http://www.fajardoinn.com/about/travel-planning/local-weather During the hottest season, July through September, Fajardo, Puerto Rico weather temperatures often top 95° F (32° C). Atlantic Standard Time (AST) (EST +1; GMT -4) all year around, which means that the island does not observe Daylight Saving Time (one hour later than Eastern Standard Time (EST) and four hours earlier (-4) than Greenwich Mean Time (GMT) from October to April, and the same as Eastern Daylight Saving Time from the first Sunday in April to the last Sunday in October). Puerto Rico has a 10% sales tax. Municipalities have the option of imposing an additional sales tax of up to 1.5%. In addition, in the event that the governor determines an insufficiency in collections for the general fund an additional 1% to the central government will be imposed. You must be 18 years old to purchase liquor in stores or buy drinks in hotels, bars, and restaurants. A municipal statute forbids alcohol consumption on the streets of many cities, like Sn Juan. It is illegal to operate motor vehicle at or above .08 blood alcohol level.